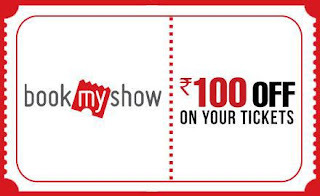 Bookmyshow is launching several offers now-a-days and it has now come up with an another one . BookMyShow new users can avail Rs. 100 off on first booking when apply winpin BMSREL2015. Extra 15% Cashback using Mobikwik wallet.Valid for first 10000 customers. 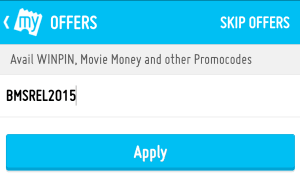 Valid only on Bookmyshow app. Hurry and Avail this great Offer As – It is valid for First 10,000 customers only. Open and Select the Movie you want to watch. Select Preferred Cinema / Time and Seat. Enter your Email and Mobile Number Now and Proceed. Says offer used maximum redeem times !! Are it was actually finished or offer closed ?